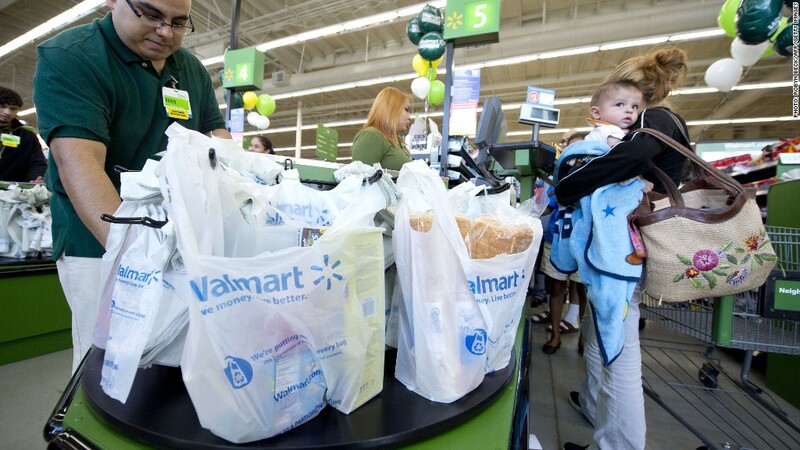 Veterans who have recently returned home are getting the attention of Wal-Mart. Wal-Mart Stores (WMT) said Tuesday that, over the next five years, it will hire every veteran who honorably left the military in the last year. In recent years, finding any work, let alone good jobs, has been a struggle for veterans. The unemployment rate for veterans serving in recent wars has fallen some, but remained at a doggedly high 10.8% in December. That's still well above the 7.5% rate for nonveterans. "Too many of those who fought for us abroad now find themselves fighting for jobs at home," Bill Simon, president and CEO of Wal-Mart U.S. said in a speech Tuesday. Simon said that the retailer was already the largest private employer of veterans in the country, even before this new push. About 100,000 of the company's 1.4 million employees in the U.S. are veterans, a Wal-Mart spokesman said. The program is set to kick off on Memorial Day. Most of the jobs will be in Wal-Mart stores and clubs, but some will be in its distribution centers and its Bentonville, Ark., home office. Simon said that veterans will be held to the same basic hiring criteria as everyone else. First Lady Michelle Obama, whose Joining Forces initiative focuses on hiring or training unemployed veterans and military spouses, called Wal-Mart's plan a "concrete example" of our nation's support for our veterans. She challenged every business in the country to follow Wal-Mart's lead.